he studied with Barend Middelhoff, Carlo Cattano, Stefano Zenni, Luca Bragalini, Rosario Giuliani, Tommaso Lama, Teo Ciavarella, Piero Odorici, Ettore Martin, Giampaolo Ascolese, Paolo Ghetti, Marco Micheli. He obtain the bachelor’s degree in jazz music in the high artistic and musical formation institute, conservatoire G.B Martini in Bologna with degree thesis “Five pieces 1975 by Anthony Braxton”. Techniques of composition and improvvisation with the musicologist Stefano Zenni as supervisor. Deepening a lot of musical languages from classic to the improviseted music Jazz and Free Jazz, he has played and collaborated with many artists: Markus Stockhausen, Marc Abrams, Francesco Cusa, Roy Paci, Tony Cattano, Claudio Lugo, Beppe Scardino, Paolo Sorge, Danilo Gallo, Luca Dell’Anna, Federico Squassabia, Marle-Anne Prins-Jorge, Raul Colosimo, Debora Petrina, Caparezza, Piotta, Urban Killas, Improvvisatore Involotnario, Nursery Quartet, Naked Musicians, Saya,. He recorded for Label such: Improvvisatore Involontario, Indijazzti Records, La Grande Onda, Funk Freakaz. 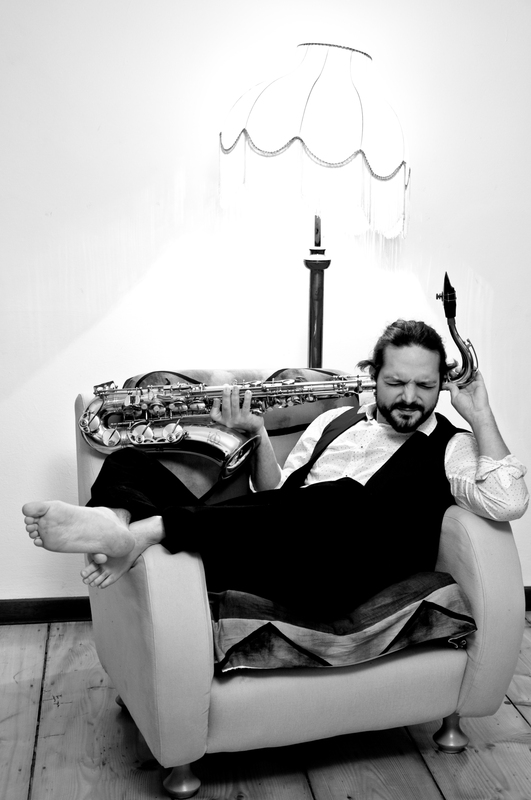 In 2014 he was cofounder of the indipendent label Indijazzti Records.